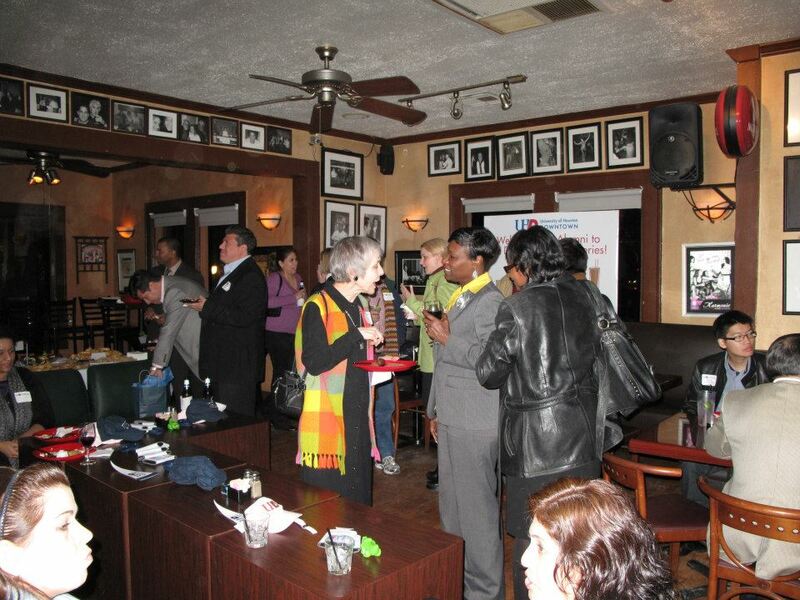 Alumni Social Series a Hit! Faculty, staff and alumni gathered on Thursday, Jan. 17, for the first Alumni Downtown Social Series event at Byzantio Cafe, owned by UHD alumna Dora Giannakopoulos, in Midtown. Guests enjoyed complimentary drinks and appetizers, courtesy of Byzantio Cafe and fellow alum and local attorney J.B. Bobbitt, and encouraging words from UHD President William Flores and distinguished alumni City Councilman Ed Gonzalez, UHD Class of 2000. 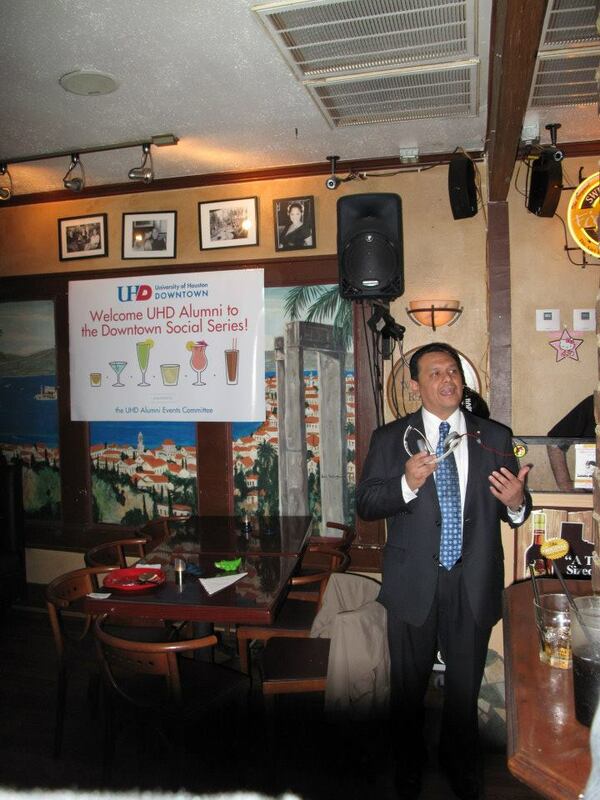 Check out the pictures from this awesome event at the UHD Facebook page! The next opportunity available for alumni to get together for food and fun is the annual UHD Chili Cook Off from noon to 5 p.m. March 2 on the South Deck. Tasting bowls are $5 before the event and $7 at the door. Pre-sale tickets are available from Staff Council members. If you're interested in putting together a team - each team should have 5 people and registration is $35. The deadline to enter is Feb. 22. Contact Traneshia Parker for more info at parkert@uhd.edu. President Flores with alumna and Byzantio Cafe owner Dora Giannakopoulos. 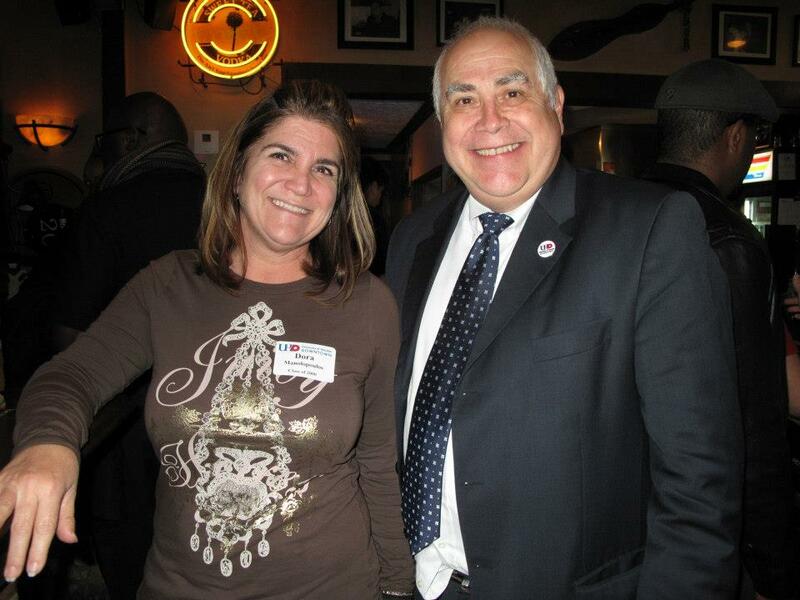 Special guest City Councilman Ed Gonzalez.